While its gameplay and puzzles will be simple for most players, Detective Pikachu offers a wonderfully refreshing and humorous take on the Pokémon series. As someone that grew up alongside Pokémon for the vast majority of my life, seeing the series branch out into other genres aside from its stable of “catch ’em all” RPGs has always been one of my favorite ways to engage with the series as I’ve gotten older. While Pokémon has evolved (yes, pun intended) into other genres like puzzle games (like my personal favorite, Pokémon Puzzle League), card games, the wildly-popular Pokémon GO on mobile, and even photography simulators (I still hold Pokémon Snap dear to my heart), few games in the series have gone to the lengths of Detective Pikachu to turn the world of Pokémon on its head. But, thankfully, it does so in the best way possible. As its name suggests, Detective Pikachu is a 3DS point-and-click style adventure game that has players investigating crime scenes and solving puzzles as Tim Goodman, a seemingly-ordinary young boy in the Pokémon town of Ryme City who ends up partnered alongside the titular mouse detective. This is not only because Tim somehow has the ability to understand what Detective Pikachu is saying, but the two become entwined in a greater mystery of finding out what happened to Tim’s dad and the detective’s partner, Harry Goodman, while the amnesiac Pikachu tries to recover the memories of his forgotten past in the process. 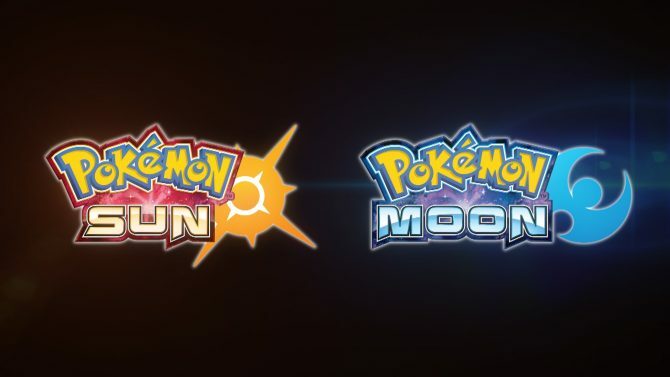 If that concept didn’t already sound entirely out of left-field for a Pokémon game, I can definitely, 100% assure you it is. Given that we’ve had over two decades of Pokémon games putting players on the path to be the very best Pokémon Master out there, Detective Pikachu is remarkably silly in comparison. However, the game leverages its wacky premise with a hilarious lead in Detective Pikachu himself and a refreshing change of pace from what we’ve typically seen from the series, which is arguably Detective Pikachu‘s greatest strength. Fans of either the Professor Layton or Ace Attorney series should feel right at home in Detective Pikachu with its emphasis on crime-solving and investigation, but the real heart of Detective Pikachu comes from its charming story and a wonderfully bizarre take on the Pokémon world that so many have come to know and love. 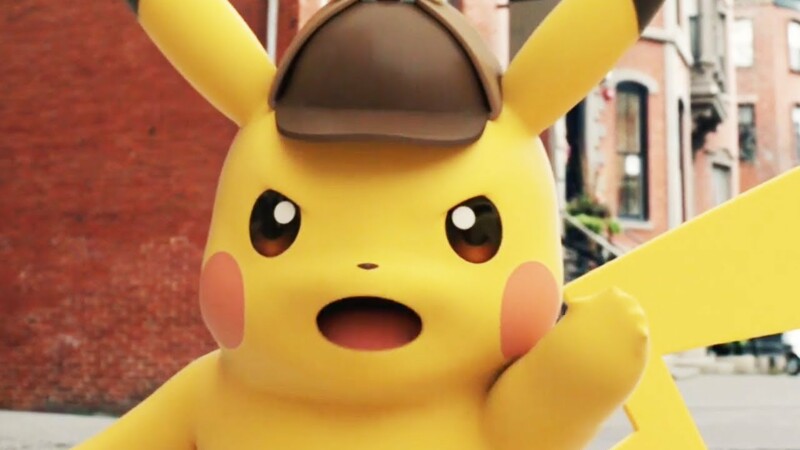 For the most part, Detective Pikachu lovingly plays with the idea of a gumshoe detective story by way of Pokémon and treads the line between lighthearted fun and campy storytelling in an entertaining way — which makes all the more sense given that the game will be getting a movie adaptation with Ryan Reynolds. While some may find this iteration of Pikachu a little off-kilter from his usual adorable nature, personally I loved seeing Nintendo and developer Creatures twist the world of Pokémon in such an unconventional and humorous way. 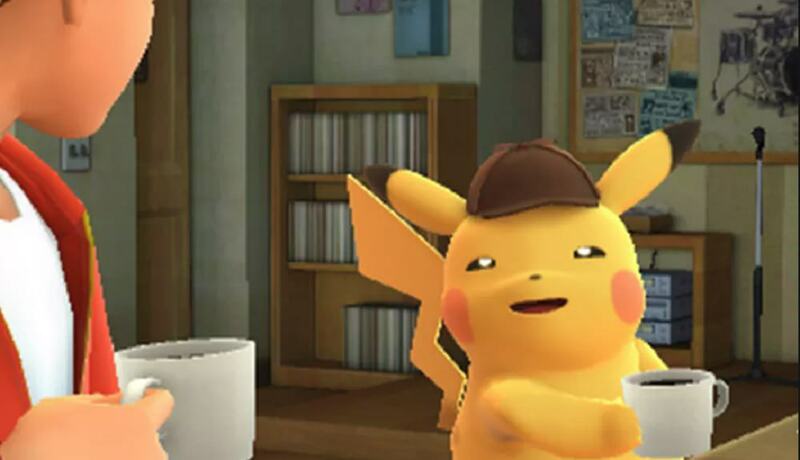 From his gruff, middle-aged man voice (which I still wish, deep down, was voiced by Danny DeVito) to his constant guzzling of black coffee, Detective Pikachu himself is easily the highlight of the game thanks to the game’s witty writing and dialogue, and he never wears out his welcome. 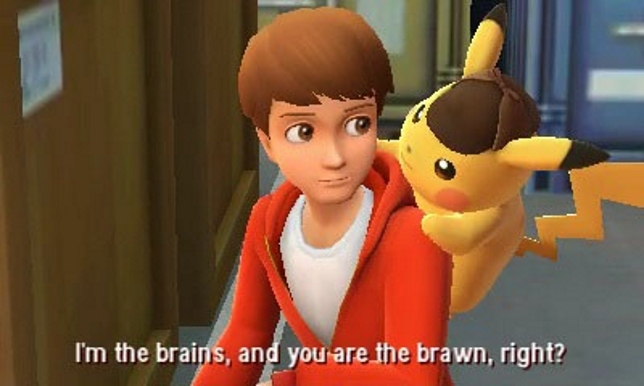 Typically, a chit-chatty character like that would make me immediately skip lines of dialogue or turn down the volume of the game, yet Detective Pikachu made me consistently look forward to both the cutscenes and “Pika Prompt” interactions for more of Detective Pikachu’s hilarious lines. That, of course, is combined with the game’s surprisingly good animation and visuals, which shows the 3DS still has some life left in it seven years after the fact. While it’s hard not to wish that the game was on Nintendo Switch, Detective Pikachu still feels right at home on the 3DS and plays out mostly like an interactive Pokémon animated mini-series, which I didn’t mind at all. That being said, Detective Pikachu is much lighter on the gameplay side of things compared to its story and visual presentation. 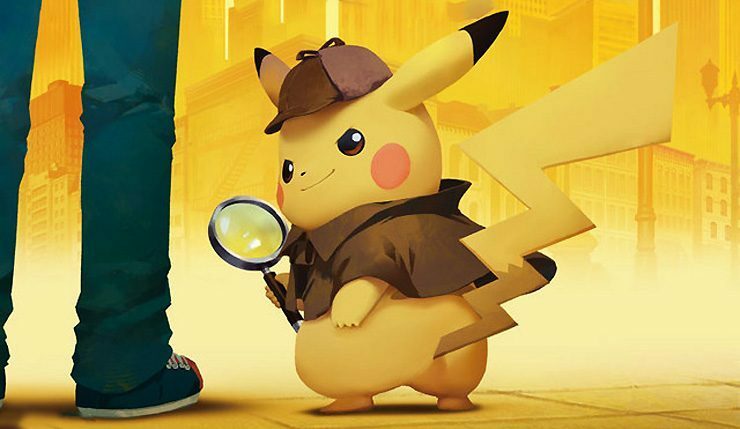 Much like a classic point-and-click adventure game, the majority of Detective Pikachu relies on players guiding Tim to investigate various environments for clues and possible pieces of evidence to solve mysteries. At the same time, players will also talk to witnesses (with Pikachu translating in the case of talking to other Pokémon), and eventually, that all leads to putting the pieces together to solve the mystery at hand. With nine total cases (and a series of smaller cases within them), Detective Pikachu is a relatively short experience, and the cases themselves are not at all taxing or complicated, compared to more brain-teasing puzzles like from the Professor Layton or Ace Attorney games. For the most part, each case in Detective Pikachu will follow the same routine of finding the right pieces of evidence to piece together the solution to each puzzle. Though the cases do get slightly more complex as time goes on, you can’t fail so long as you talk to every character in a scene and do a relatively thorough search of the environments. An Easy Mode option is also provided at the beginning of the game in case you really get stuck, but the game’s normal difficulty should be no less challenging, though the cycle of finding evidence and talking to other characters might grow repetitious to some players. Thankfully, Detective Pikachu does remedy this a bit with varied locations and characters, and the cases themselves do a great job of incorporating specific bits and pieces of the Pokémon world into some of the puzzle solving and details that players will have to uncover. Though it may be short on depth, Detective Pikachu makes up for its lack of difficulty with a ton of personality and charm. While I’ve played Pokémon games for the better course of two decades for the chance to catch ’em all, Detective Pikachu shows the potential that the series has outside of the main games thanks to its refreshing and quirky premise. I enjoy catching hundreds of Pokémon and collecting gym badges as the next person, but I wouldn’t mind more diversions from the main Pokémon series if they come packed with as much hilarity and oddball humor that Detective Pikachu provided me at my side. Celebrate the launch of the Nintendo 3DS exclusive, Detective Pikachu, with a new trailer flaunting the game's story and gameplay.